The year was 2100, a finally a sci-fi dream came true for people. Nanobots which are robots which are very small. Nanobots were promised for a very long time for medical use, but after so many research and tests that dream was finally a reality. The exact year was 2102 when the first patient received the Nanobot treatment for his cancer and they did what they were supposed to and cured his cancer and finally human race was successful in curing cancer without any side-effects on the body. 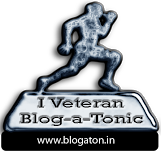 You only had to swallow few pills which contained the nanobots and they would start working within few hours and after few days voila you would be cured. Trouble began in the year 2195, he was diagnosed with cancer but with new cheaper Nanobots therapy it was not difficult to cure. He received his pills and promptly ate them and then waited to be cured of his cancer. He was told that there may be little unrest and pain as the robots worked to eat away the cancer cells, but his pain was more severe and he immediately called his doctor. His doctor advised him to get admitted to the hospital immediately. When doctors checked him they were shocked to find out that the Nanobots were not working to destroy the cancer cells but healthy cells and were eating away his internal organs. Doctors tried to send the kill signals to the bots but failed and before long the patient was eaten inside out and the bots escaped through air. Through his path to death the robot revolution began not through big robots but molecular ones. The date of robot revolution was 3rd July 2195. 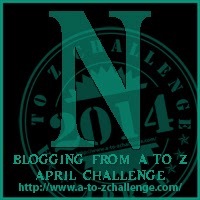 My Entry for Blogging from A to Z April Challenge 2014 - Letter N.